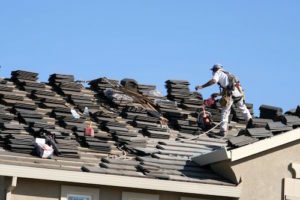 It can be hard to find trusted roofing contractor for your new roof or roof repair project. Look no further than All Inclusive Contracting. Over the past 20 years, we have installed new roofs, repaired roofs, provided roof maintenance, and totally replaced roofs for homeowners across metro-Phoenix and the surrounding communities. Call us at 602.550.0499 for a free estimate on all project types for tile roofs, shingle roofs, rubber roof, foam roofs and flat roofs. Your roof does more than protect you, your family, and your personal possessions; it is also an insulator of your home, keeping the cool air in during the summer and the warm air in the winter. If your roof is in need of replacement or repair, it could cost you hundreds, if not thousands, of dollars in energy costs in wasted heating and cooling costs. A worn or cracked roof tiles or under lament could also cause a roof to leak. What’s more? Should moisture penetrate your roof, it could lead to the growth of mold and bacteria, as well as damage to your interior drywall. Call us today to receive a complimentary consultation at 602.550.0499. Is Your Roof Ready For Monsoon Storms?